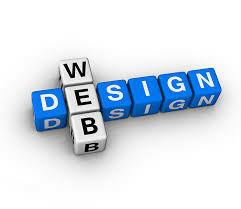 As designers we get to the opportunity to be creative in the look, feel, and implementation of technology. It is often the last phase of development in a project, but the first thing that a user is greeted with. Whether it is a marketing campaign or an internal application, the user experience will make or break a product within seconds. It is important to be aware of the new technologies out there when being part of a design team. Often the designers are who drive new ideas in technology forward with the any phrase following “Wouldn’t it be nice if there was…” Magazine subscriptions, forwarded links from colleagues, and stumbling through the depths of the creative side of the internet are just a few ways to stay on top of the game. Keeping skills updated through –let’s face it- trial and error, is also a necessary part of the process. As a web designer I often ask the question: “Who will be using this?” It is important to assess the user to determine need vs. want and budget / time parallels. These factors are important to a company and to the client. We could spend days or weeks adding cool features that show off our ability to create a website amusement park, but in reality that’s more of an ego-driven mindset and will likely not win in the gain vs. cost argument. Unless the client is looking for a marketing tool, its best to stick with what works and feels pleasant to use. We see this being done through flat designs. While it may be the current fad in design, it is simple, modern, and elegant. One good way to create a positive impact on timelines and budgets is with free TESTED libraries. The wheel has already been invented in most cases, so just add and customize until you create the feature you need for the project. In some cases, this is easy to do, but in others this can be a very hack –n-slash process. Some frameworks like Bootstrap or Foundation play well with libraries, while others aren’t designed for full cooperation. Depending on the need of the company picking out a framework to use is very crucial. Personally, I like the idea of starting with a framework that has been tested and has many sources for support – that is crucial. Decide on the framework, customize it, and add libraries that you know will be likely used in every project. Find the resources necessary to support the project. We all know what it’s like to deal with a mind boggling issue that breaks an entire page in one browser but looks fine in the next.